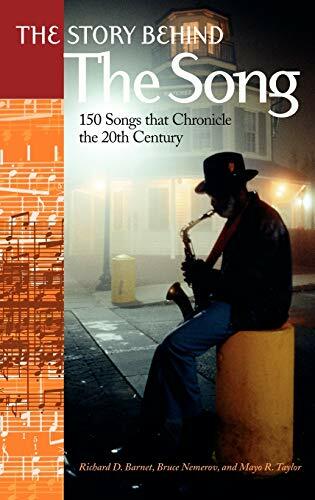 [PDF] The Story Behind the Song: 150 Songs that Chronicle the 20th Century | Free eBooks Download - EBOOKEE! Posted on 2017-11-30, by luongquocchinh. Description: Songwriters often use lyrics to describe the current events and social attitudes of a particular period or people. An examination of America's popular songsand the stories behind their creationcan help us better understand our history and culture. This chronologically organized volume provides the stories of 150 songs in 20th-century American history. Each chapter begins with an historical overview of how songs from the period reflected the political, social, and economic culture of the decade. A discussion of 15 influential songs from each decade provides the songs' histories, what inspired the writers to create them, and why they have resonated over time. Included are patriotic songs, such as The Yankee Doodle Boy and God Bless America, protest songs of the civil rights and women's rights movements, such as We Shall Overcome and I Am Woman, songs that defined musical genres, such as Heartbreak Hotel and Stayin' Alive, and contemporary, often controversial music like Eminem's Stan. Each song's entry includes the song title, songwriter(s), publication information, and current availability. A selected bibliography includes Web sites and books helpful for researching songs, songwriters, and events of the 20th century. Indexes are arranged alphabetically, by song title, by songwriter name, and by subject, making this an excellent research tool for students and general readers alike. No comments for "[PDF] The Story Behind the Song: 150 Songs that Chronicle the 20th Century".